Razer, the world leader in high-performance gaming hardware, today announced a partnership with Piranha Games and Infinite Game Publishing for the highly anticipated next installation of the MechWarrior® franchise, MechWarrior Online™. 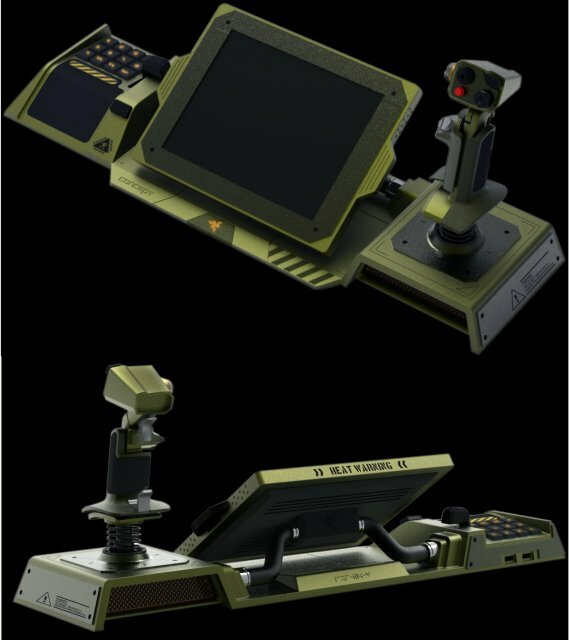 The collaboration culminates in the Razer Artemis, a concept controller crafted to give gamers a competitive edge as they stomp and destroy their way to victory in the dog-eat-dog BattleTech® universe. The BattleMech inspired Razer Artemis concept controller puts gamers into the cockpits of their favored hulking metal behemoths, fully immersed and focused on the dangers of the battlefield, claiming wins for their chosen Great House. With fully-programmable, fine-tuned controls, the ergonomically adjustable Razer Artemis concept controller makes piloting a Mech more efficient and lethal in combat. Set in the year 3049 during the early stages of a massive interstellar war, MechWarrior Online puts you in command of the most powerful war machine to ever walk the field of battle, the mighty BattleMech. Command your Mech and customize it to suit your battlefield role; upgrade systems, replace weapons, and tweak armor with endless options.